It’s a rainy day in New Jersey–the perfect time to indulge in Part Three of this summer’s trip to Italy. To me, travel is composed of three equally enjoyable segments. Part One is the planning stage. Part Two is the actual travel, and Part Three occurs when your mind leaves your body as you relive those travel highs. 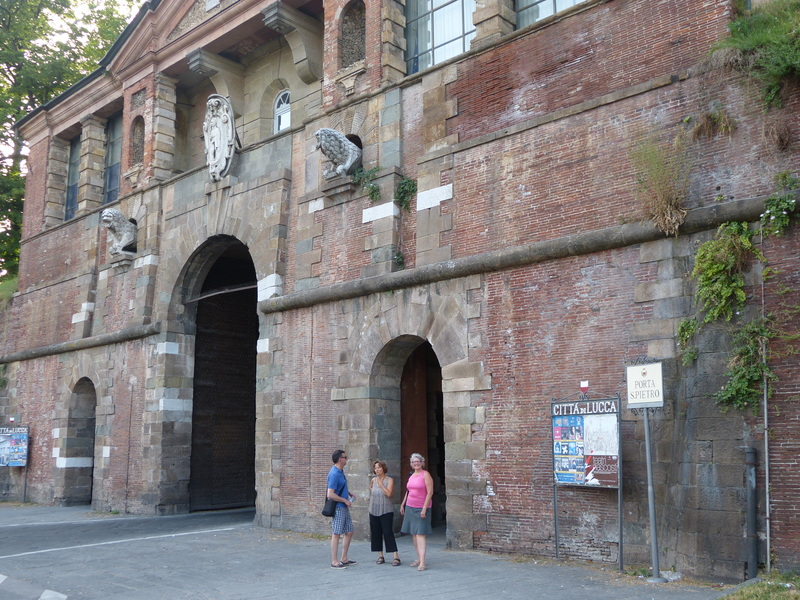 Our villa was a few miles from Lucca, a short (but harrowing) drive to the city gates. 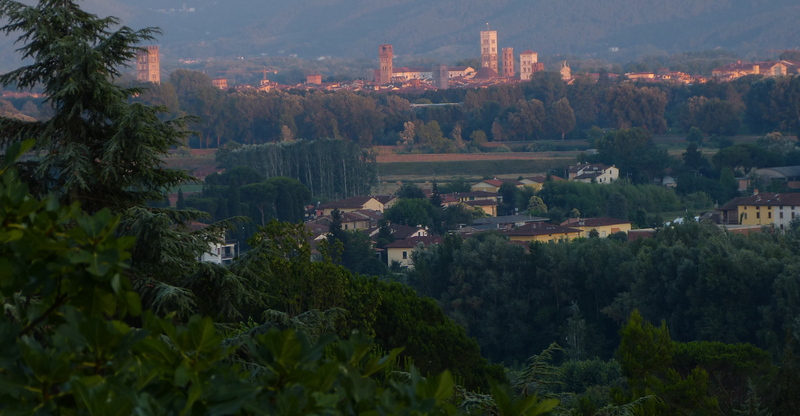 It was close enough so that we could see Lucca’s towers from the patio outside my room. The photo at the top of this post (if the”featured image” application works, that is) was taken from that very patio. But just in case it doesn’t, here’s the photo again. There are city walls, and then there are CITY WALLS. Lucca’s are the latter. We are talking big, serious structures. 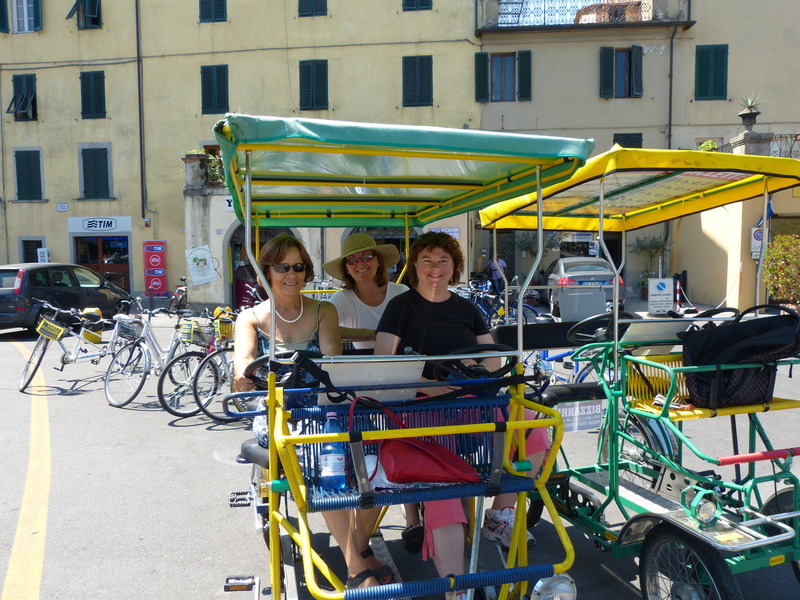 One day, we rented a “bicycle built for four” and tooled around the entire periphery. And yes, those ARE trees growing on top of the wall. That photo doesn’t give you an idea of how big the walls are, or how high up that bike path is–so here are a couple more shots to put it into perspective. 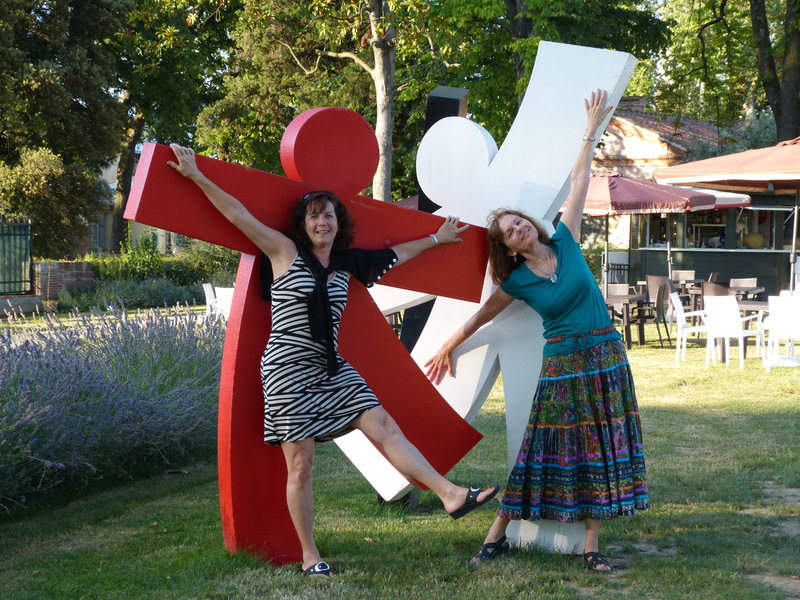 In fact, the wall is big enough for a restaurant and bar (the site of my birthday prosecco celebration), and a sculpture garden. 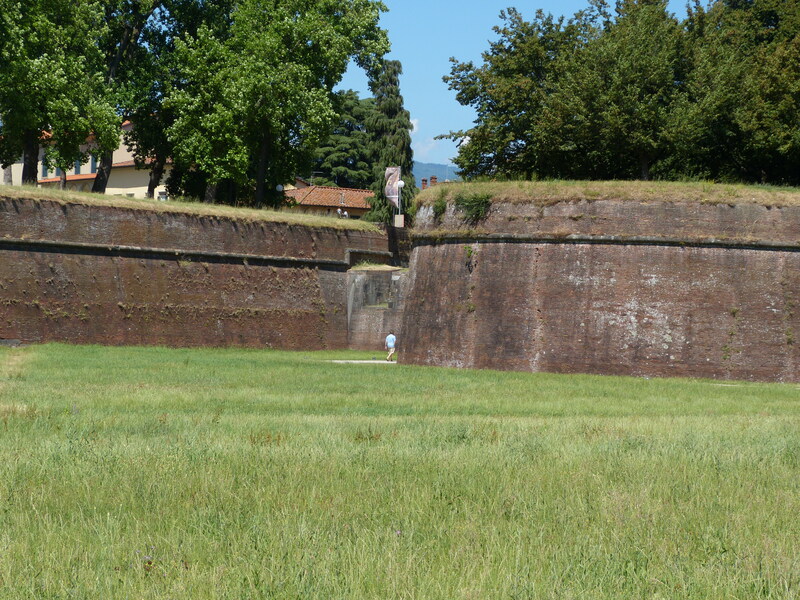 Lucca also has an old Roman amphitheater within its walls. No, I didn’t hang from a helicopter to take that aerial view. 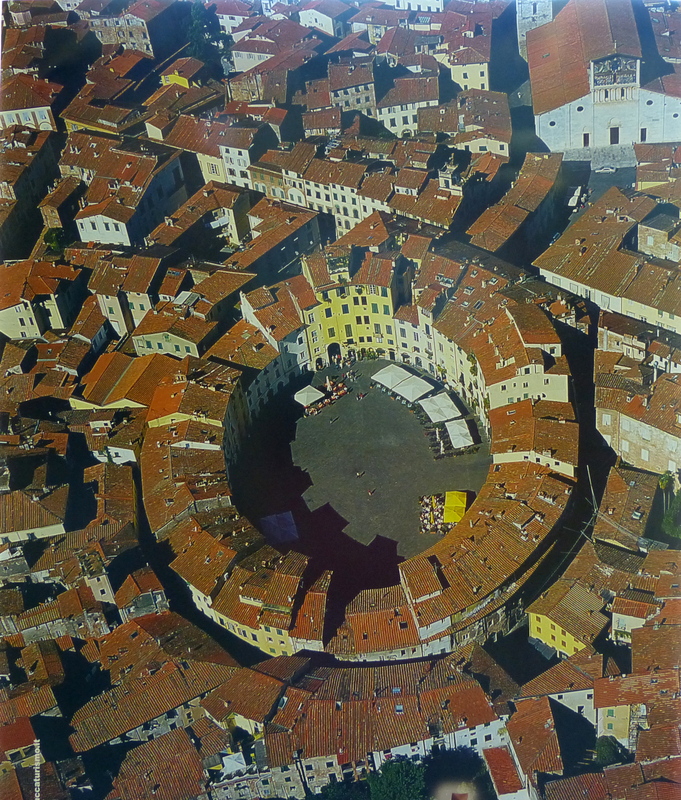 That is a photo of a poster in the Lucca Tourist office. The Italians, being masters of recycling, built houses out of amphitheater walls. Originally, poorer people lived in those structures, but now it is a very trendy locale, with great little cafes and shops. 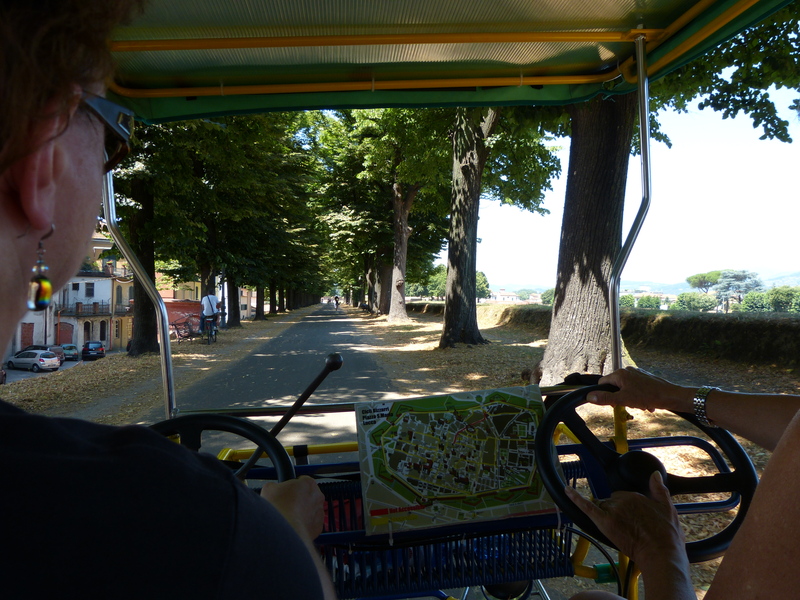 That’s all for today–but that’s not all there is to Lucca! Looks great. 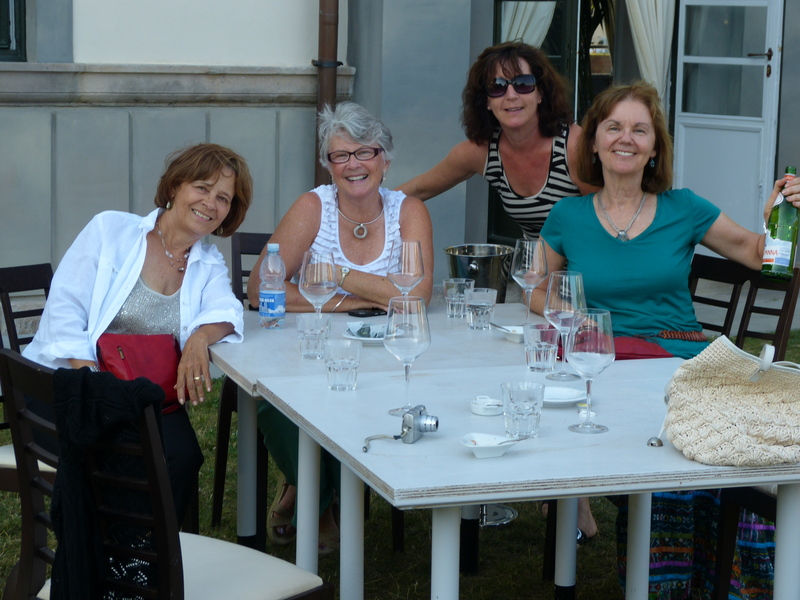 I’m glad to have met some of your traveling buddies. 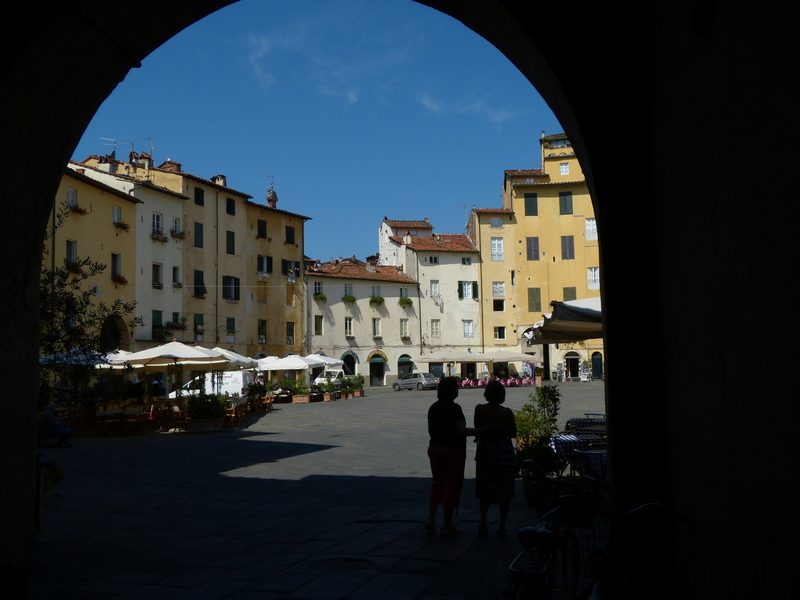 Lucca is one of my favourite places in italy. i’ve been there 4 times and love it. Your pix made me want to go back immediately. great writing and fantastic pics. Much love going your way. Hi Shelley . . . I really enjoyed your post about Lucca. 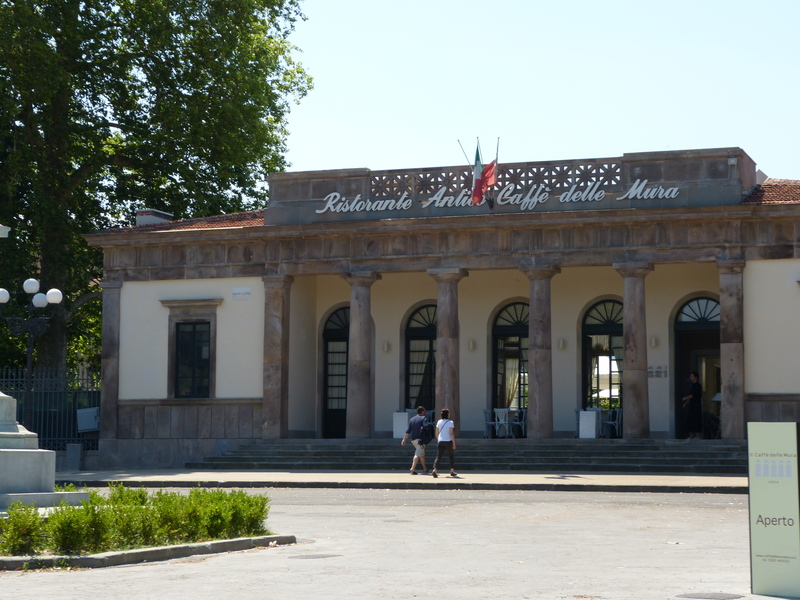 It brought back great memories of my one day trip there via train from Florence last year. You’re absolutely correct about the “peculiar” walls with the trees and bike paths . . . Quite gorgeous all in all. Again, thank you for sharing. Great to hear from you. I enjoyed revisiting Cambodia and Laos and seeing the sights through your blog. We are currently enjoying the holidays in California, drinking our way through wine country. Thank you Shelley . . . I have been on the “road” for the last 5 months, so I am looking forward to going home (Denver) on the 20th. I will be in the bay area visiting family in April.